Office Location: Tolland, CT. Employees can also work full time from this office. The Software Engineer III is primarily responsible for building and integrating internally and externally facing ERP (Enterprise Resource Planning) software for our users in a collaborative, fast-paced, state-of-the art environment. This position allows for a full lifecycle development opportunity, enabling the employee to participate in system design, development, documentation, testing, implementation, integration and support of all necessary applications. To create software and services that solve the world's manufacturing challenges. Shortly after CNC Software got its start in Massachusetts, the company moved its base of operation to an office in Vernon, Connecticut. Today, the CNC Software, Inc. corporate headquarters and training facility is located in a company- owned 53,000 sq. ft. environmentally friendly building in Tolland, Connecticut. In addition to over 140 employees working at the corporate facility, CNC Software also has an office in the state of Washington dedicated to the educational market. The real backbone of the over 250,000 installation-strong Mastercam community is our global reseller network. Some of these experts have been with CNC Software since the very beginning. They've helped build shops from the ground up, and have developed a true "partnership" with our customers, offering advice, strategy, and experience to Mastercam users around the world. As an industry leader for over 35 years, CNC Software prides itself on meeting the demanding needs of its customers by providing excellent products at affordable prices. We adhere to our strategy of combining superior software programming with practical shop floor experience. We have remained at the forefront of CAD/CAM technology by listening to our customers' needs, being accessible, and most of all, being dedicated to our customers. CNC Software has provided CAD/CAM solutions to over 250,000 installations worldwide in the mold making, automotive, aerospace, and consumer industries. Mastercam offers solutions for designers and NC programmers in a spectrum of industries, including milling, turning, wire EDM, router programming, plasma cutting, lasers, and 3D design and drafting. CNC Software's customers range from one-person job shops to Fortune 100 manufacturers. The same software that is utilized by corporations such as Boeing, IBM, and Sikorsky is still affordable enough for the small job shop. To ensure a new generation of trained metal and woodworking personnel, Mastercam is available to educational institutions at sizable discounts. As CNC Software, Inc. and its flagship Mastercam continue to grow and expand into new markets and technology, our focus remains on our customers. We are committed to delivering tools that support the higher productivity and greater precision demanded by today's, and tomorrow's, manufacturing. 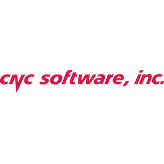 Want to get notified about new jobs at CNC Software, Inc?